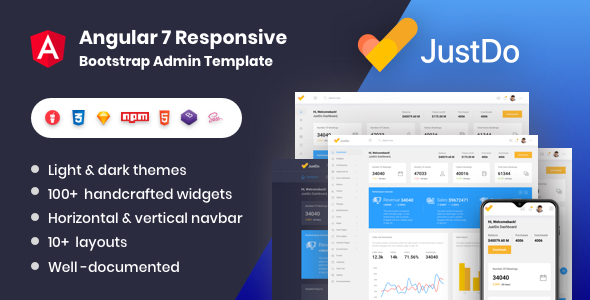 The JustDo Angular admin template is developed based on the Angular framework by using the Bootstrap framework, SASS, HTML5, and CSS. 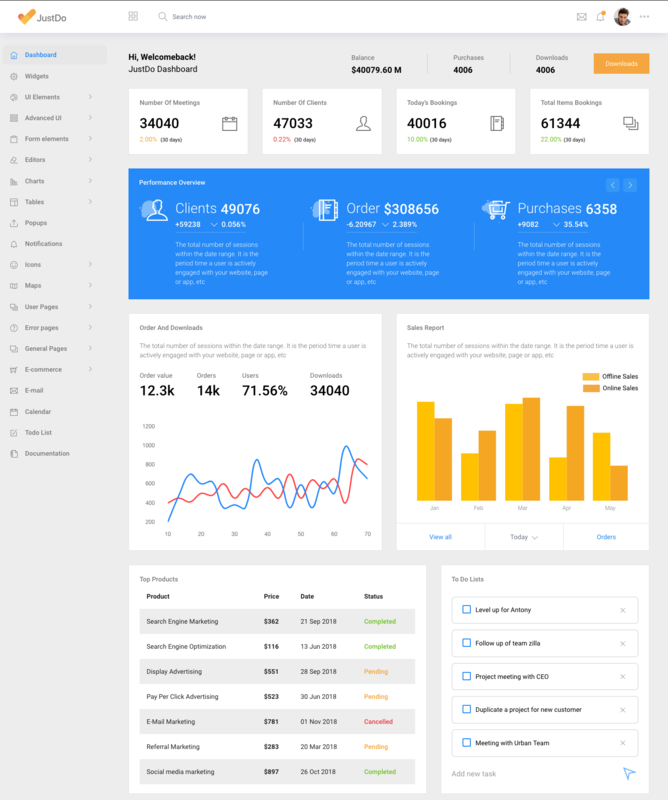 This admin template guarantees a fine user experience on both desktop and mobile devices due to its high responsiveness. The customization is relatively simpler since SASS preprocessor is used for the styling of JustDo template. 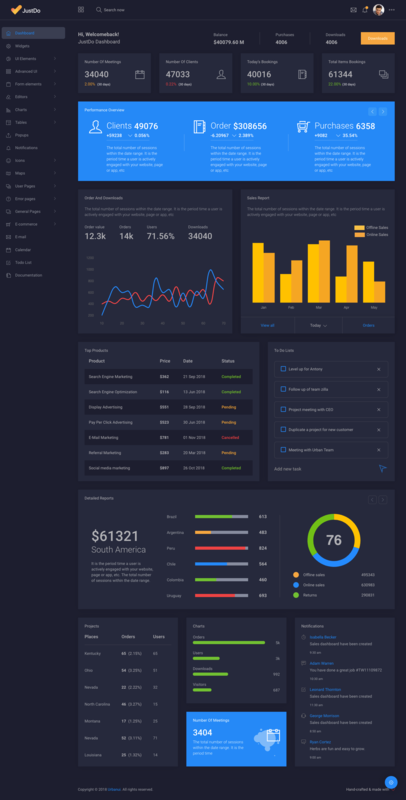 This cross-browser compatible template is a suitable candidate for designing CMS, CRS, application backend, admin dashboard, and several other web apps. The code of JustDo Angular admin template can be easily comprehended, as it is simple, well-commented, and clean. Users will not be charged for the future updates of the JustDo Angular admin template.